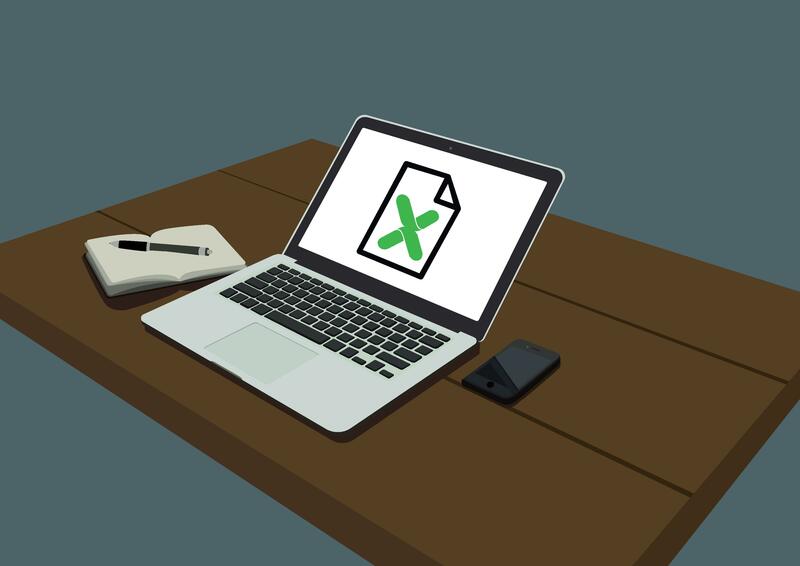 >> How to Write Your Book Fast in Excel! Yes, Excel! Where most authors are writing their books in Microsoft Word, Scrivener, or Pages for Mac, Nick Weisenberger has been using Microsoft Excel. As soon as I heard about Nick's unique process, I wanted you to be the first to know. Check the bottom of the post for a special gift, too! Yes, you read that right. My latest book was written in Microsoft Excel. I got the idea for writing about terrifying roller coasters by looking through Amazon.com. I discovered a “book” about scary roller coasters that, from the one star rating average, was obviously a cash grab attempt by someone who didn’t know anything about roller coasters. Since I have a real passion and knowledge for the amusement park industry, I knew I could write a better, real legit book on the topic. I knew the basic format I wanted to use for the book right off the bat. I was going to create a list-type book because those type of blog posts are very popular these days. I knew I wanted to share several relevants stats about each coaster. Since I have fifty coasters all with the same general format, I needed a way to be able to create the format without copying and pasting over and over and something that if I tweaked the format it would be update for all fifty coasters. Anytime I start thinking “there has to be a better way to do this” or if I find myself repeating a task over and over I almost always turn to an automated solution. In other words, I turn to VBA and macros. A macro is a series of functions written in a programming language that is grouped in a single command to perform the requested task automatically. Excel macros are used to save time and reduce the possibility of human error by automating repetitive processes. You can create a macro in Excel by going to View > Macros > View Macros. Books can be written with many different tools. One of them is Microsoft Excel! After picking fifty terrifying roller coasters from my riding experience and own research, the next step was gathering the data, like height, speed, length, number of inversions, etc. Excel is probably the best, easiest, most accessible tool out there for collecting and displaying a lot of data. Since data collecting was tedious and time consuming, I decided to outsource this project to a virtual assistant using Upwork. I forget the exact amount I spent on this step but it was only maybe $20. The macro runs through a simple For..Next loop, looping through each row of the spreadsheet and exporting the data column by column into the Word document in the order I’ve specified in the code. The macro can either print one page of the book so I can see how it looks or it can do all fifty coasters at once. After the information is exported to Word, just add your typical front and back matter, pictures, edit, and you’re done. For 50 Terrifying Roller Coasters I created the book cover myself using PicMonkey, but subsequent books I have paid a designer to create. Uploading to CreateSpace and Kindle Direct Publishing is a breeze. And you can outsource most of these tasks as well, if you have the budget for it. You can spend a lot of money and save yourself time or you can spend $0 on getting your book published and do all the work yourself - it’s up to you. The beauty of self publishing is you can go back and make changes at any time. Create your own cover, and if your book is doing well, go back and pay a designer to create a professional looking cover. Rinse and repeat for the next book. I’ve made a template available for you to download where you can examine the code of the macro yourself. Good lord! Write a book in Excel? What a neat idea! I have a dozen books started in various word docs and I must admit that none of them really suit this format as they are stories, not lists of facts about something like roller coasters but… maybe i can think of something else that this will suit :). I’ve done a fair bit of programming in Excel already so it’s definitely something I think i can cope with. If Excel can be used to make numbers dance, why not words? Oh and as a lover of roller coasters, I’m going to have a look at your book, Nick. I have published two books on Amazon Kindle about Australian wildlife – Platypus Dreaming and Walpajirri: the Legend of an Easter Bilby. I agree with you that publishing on Amazon Kindle is pretty easy and I recommend toanyone who has a book locked up inside them that they should let it out and publish it online. Thanks for the kind words! Hope you enjoy the book and I’ll have to check yours out as well. I’d never thought of using Excel to store and collate data! What a great idea! Presumably, if a macro can be used to extract data from Excel, something similar could be used to export data from an Access database (also part of the MS Office suite). I’m thinking about whether it’s a good idea to store recipes in a database and then importing them into book format. Thanks! Yes, I believe you could use a macro to move data across any MS Office applications, including PowerPoint and Access. I feel like my method would also work well for a recipe book as they would probably be the same general format. Thanks for the reply. Good luck with the book!